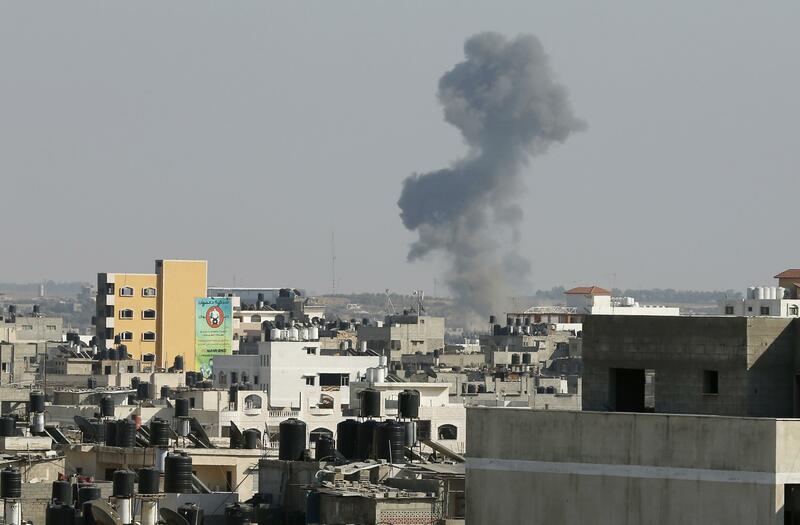 Gaza cease-fire broken: Rockets reported. Smoke from an apparent Israeli airstrike today in Gaza. A planned 24-hour cease-fire extension after five days of calm has broken down in Gaza, reports indicate. Three rockets fired from Gaza hit southern Israel but did not cause any damage; the Israel Defense Forces said they are targeting “terror sites” with airstrikes in response. Discussions on a long-term truce continue in Cairo. Per Reuters, a major “sticking point” in negotiations is Hamas’ desire to build a seaport and airport in Gaza, a demand that Israel wants to consider “only at a later stage” of the talks. Read more of Slate’s coverage of Gaza.